Cool weather, cozy sweater season is here! I’m sure you’ve started noticing holiday decor in the stores and we’re actually going to join that bandwagon… but only a little and for good reason, I promise. I know it’s early to start thinking about the holidays, I’m with you, BUT when it comes to pretty holiday cards, early is definitely better. Designing the perfect card has become a game in my household. My husband and I try to top our card every year and every year without fail and despite our best intentions, we wait until the last minute. Trust me, the stress of getting them out before Christmas kind of ruins the fun so please don’t be like us — I’m going to try to not be like us this year either. 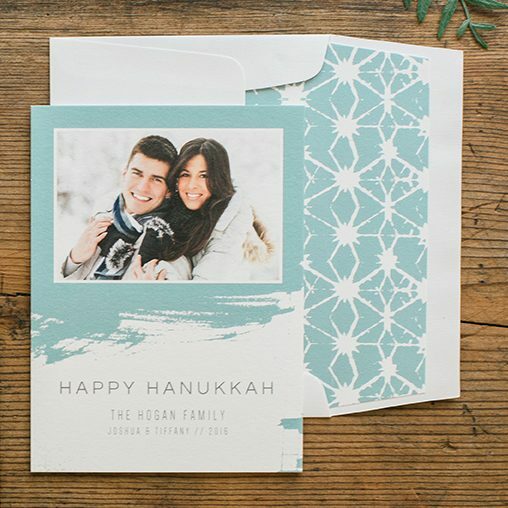 Hanukkah lands in early December this year, so give us a call in October so we can start designing your cards. Keep in mind design and printing generally take 3–6 weeks. We love seeing a mix of photo and non-photo cards every year. Personally, I almost always design a photo card (with my dog front and center, of course). If you’re going to use a photo, I recommend hiring a photographer and shopping for coordinating outfits now (especially if you have small children). 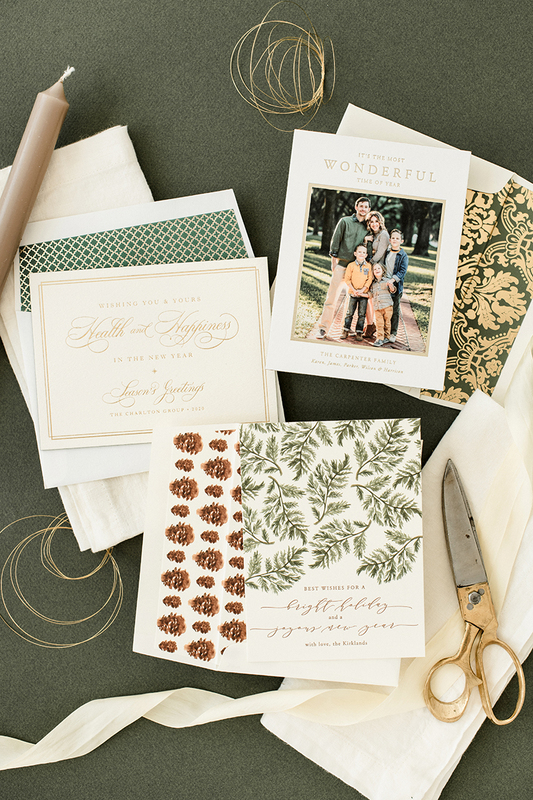 Order your cards by November so you have plenty of time to stuff and stamp your envelopes. It’s always nice to receive cards a couple weeks into the new year. 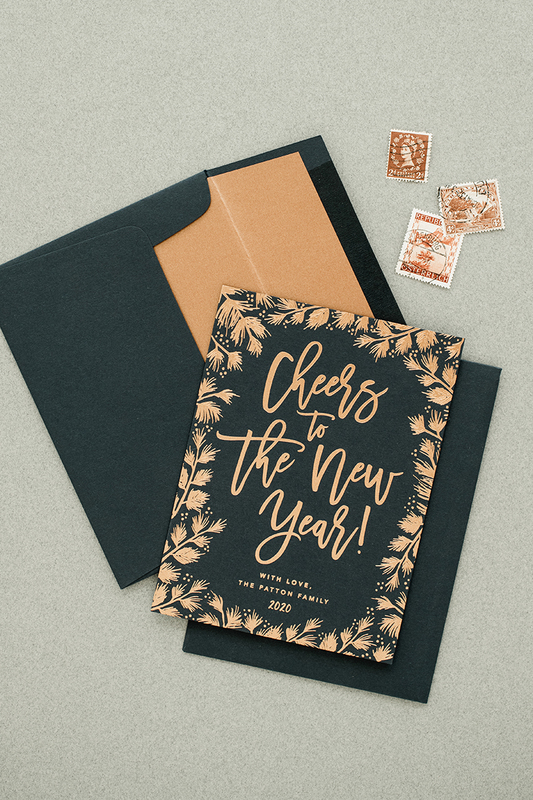 If you want to skip the holiday rush, order New Year cards and send them out anytime before mid-January. To avoid rush fees, allow at least four weeks for design and printing. 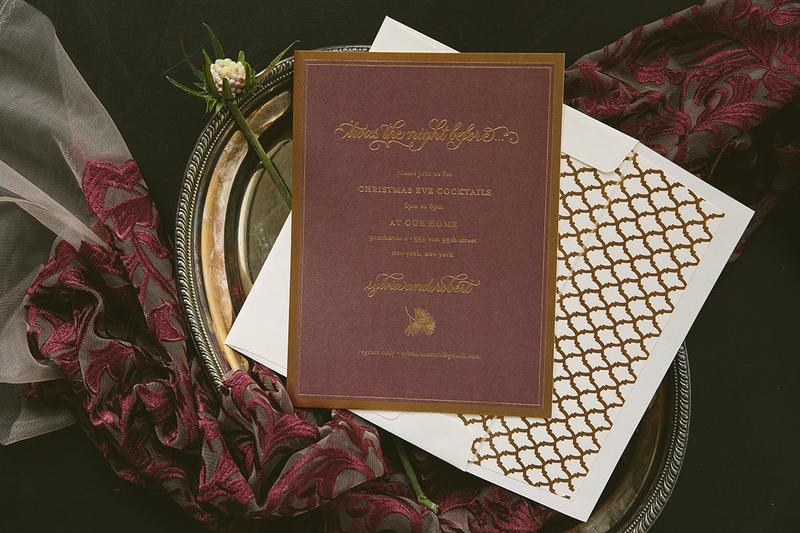 We recommend ordering these now, especially if you’re asking for rsvp’s. 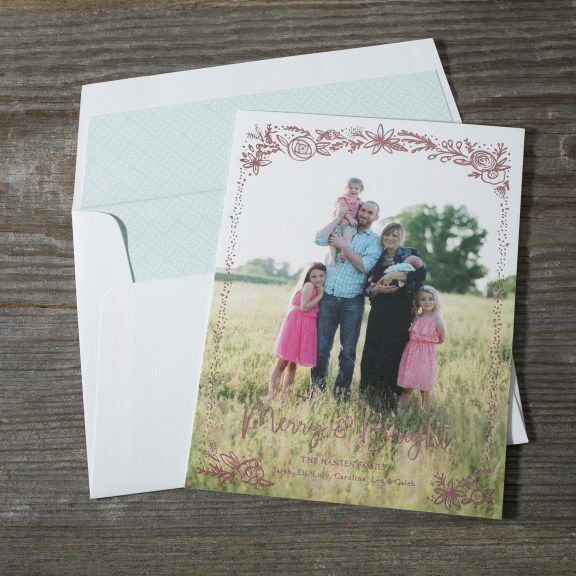 We have a special offer on Bella Figura holiday cards! 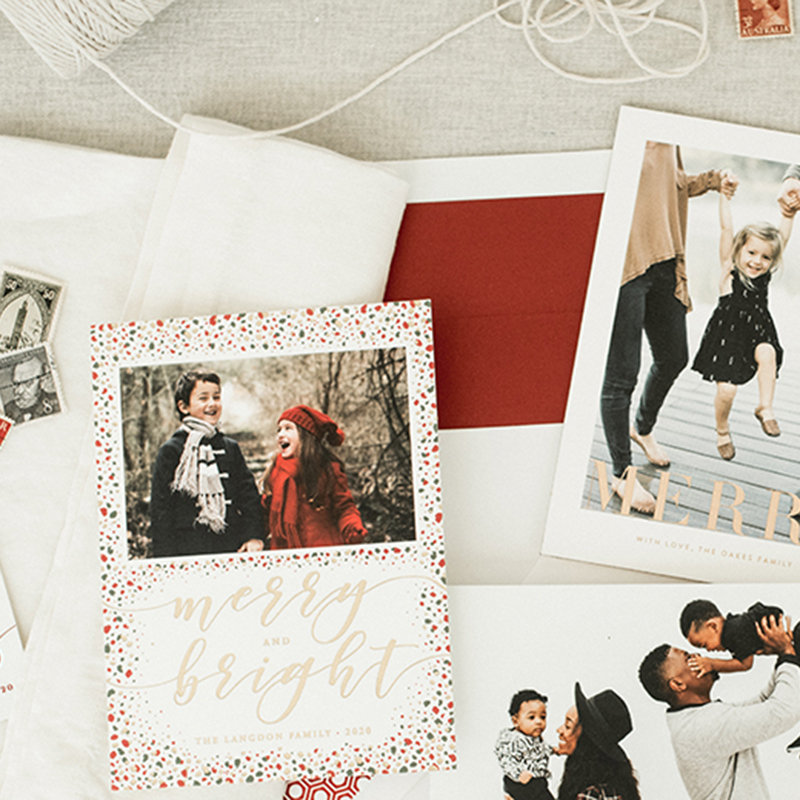 Order + approve your cards by December 14, 2018 (not that I recommend waiting that long) and take advantage of free digital envelope addressing and complimentary rush service. Give us a call or email us to ask questions or make an appointment. Over-scheduled? Live out of town? 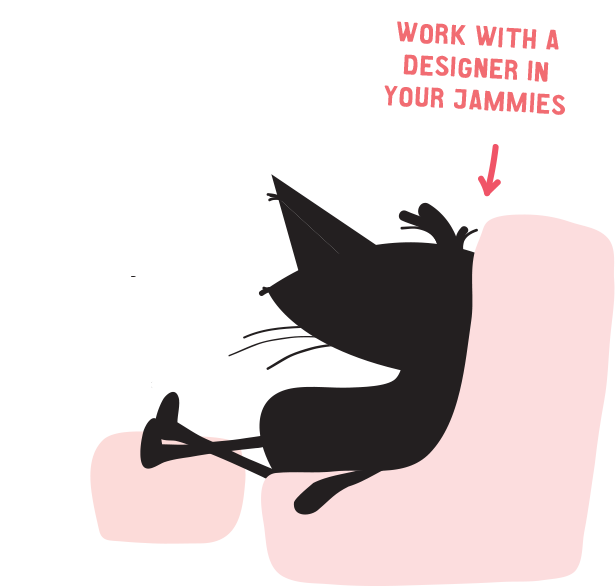 Just don’t feel like changing out of your sweatpants to attend another appointment? WE GET IT. We offer video consultations to make your life easier. And, it’s also a great way to work with a bunch of key family members who can’t be in the same place at the same time.